Na'Vi, the winners of the last Grand Finals, and Hellraisers, who scored the third place last year as Red Rush: Unity, would like to introduce themselves. We are the most successful and decorated WoT team in the world. We won practically all the tournaments where we competed. We won in different parts of the world: in Europe, Asia, America. We are the reigning World Champions. Our players won WCG gold medals in 2012 and 2013. We come to every tournament with only one goal to win. This year the tournament format has changed. We cannot make mistakes. We would like to repeat the last year’s success; we would like to be number one again in Warsaw. I’ve been playing for 5 years now (since CBT)! I turned pro 4 years ago. I joined the team in early 2013. What is your favourite World of Tanks map and why? Himmelsdorf and Ruinberg. I generally play my favourite AMX 50 100 on these maps. What is your favourite tank and why? AMX 50 100 and RU 251. These tanks have the best guns and DPM (damage per minute) in their vehicle classes. I am a damage dealer. I occupy positions along the 2nd line and try to give as much damage as possible from a distance. To be a pro, one needs to train a lot; you really have to spend plenty of time training. Also you have to work to on self-development to become a multifaceted person. World of Tanks is unique for its easy-to-learn and easy-to-play gameplay. Also it really gives me comfort when I know that I control a really heavy machinery. The best thing about eSports is the possibility to compete with the strongest players around the world. It really motivates me to train and to get the best results. Every day more and more people learn about eSports. Generally they respect my choice and what I do. Ahead of important tournaments I train with the team, have a strict regimen, and play sports. Keeping up a good physique is very important in eSports, as your physical shape influences your psychological state of mind. The best ritual is to train a lot and be ready for the game. Only through hard work you may achieve good results. We started playing from the very first tournaments in 2011. I was signed by the team a month after it was founded. I made it from a substitute player to a captain. Now I manage the team. My friend recommended WoT to me; I heard only good reviews about it. I tried it and have no regrets. We started playing in company battle and Clan Wars. But we always wanted something bigger and more exciting. Then in 2011 WG started to organize the first tournaments. Since then we try not to miss a single one. Generally we train really hard, work on our game and try to study our opponents. We usually stand in a circle, shoulder to shoulder, and psyche up to win. With a positive mental attitude we can win anyone. Winning the Grand Finals in Warsaw last year. It was the moment. Also WCG 2012 comes to mind. It was our first international tournament of such a scale and history. Getting gold medals there was definitely memorable. Being number one for as long as we can. Travel the globe and win on every continent where they play WoT. A great deal of motivation, a little faith in ourselves and in the team, a strong discipline, a desire to improve, lots and lots of training, and a good, amicable atmosphere inside the team. These are prerequisites for any top level team. Last year, our team, called UNITY, finished third at the GF. Despite the fact that we have a number of new players we hope to improve on our previous result and win the Grand Finals this year. 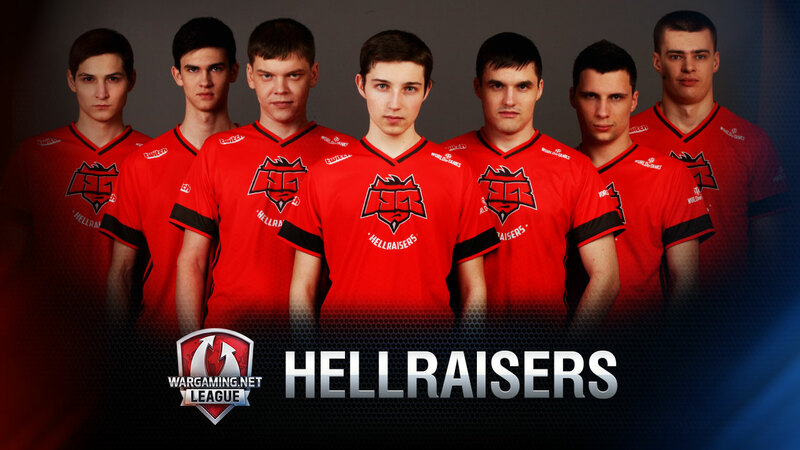 HellRaisers, whom signed us fairly recently, are giving their wholehearted support and help in preparation for the GF. We believe that with HellRaisers on our side we will be able to become the best on the world. Follow us, cheer for us, and we promise to show you the most action packed and tactically beautiful games you have ever seen. We love our fans and we will reward them not only with results, but with our strong game! I started playing World of Tanks 3 years ago when I saw a tank on my father's laptop screen. This game lured me immediately, and I started playing hard and went pro eventually. I joined Hellraisers six months ago. I transferred from SchoolBus after the Rumble in the West. I do train hard and want to become the best in the Wargaming.net League. I will try to prove it at the Grand Finals. I like all maps except Murovanka, but maps on which I can play AMX 50 100 most of all! I’m the main damage dealer for Hellraisers. I occupy certain positions in a map in order to most effectively shoot and destroy enemies. For me, it means that I have to be responsible and strong, constantly improving myself, my game and the team's morale. I never give up, despite all the defeats, I get up and go forward to achieve my goals; to be the best of the best! eSports in World of Tanks is unique because there are 7 players, not 5, like in other games. It’s a tactical game where you need a strong team to win and not just individual skills. There is also a unique format – attack/defense allows you to take a variety of set-ups. To win the Grand Finals! I rarely speak about what I'm doing ... At first, some people had a negative attitude towards me, but then, when I started winning prizes, they began to respect and support me. For me, the most important thing in preparing for an important match is a moral stability. A bad state of health or self-doubt could hurt the team, and this is unacceptable! One day, the boys came to me and said they wanted me to be their manager, because I'm good. The interests of the team are of the highest priority to me. In two months it will be a year since I joined this team. It was more than 4 years ago. I just downloaded the game, started playing and I liked it. Our team was in a top league from the very beginning of eSports in WoT and we are still here. A lot of training, discussions, finding good tactics… We work hard to get results. We were the champions of the WGL RU 2 Season 2014. 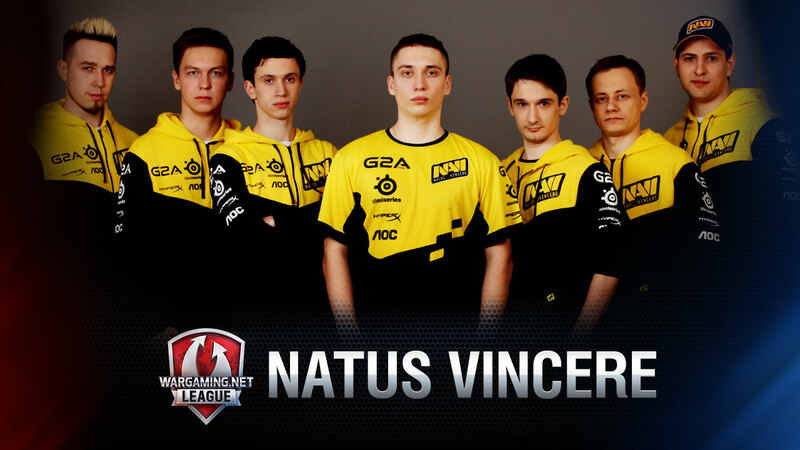 We won in the final, beating NA`VI. It was a magnificent moment and I cannot describe the feelings. Strong players who understand each other on a battlefield and act as one. It’s called “a team chemistry” I guess. Prepare yourself for the greatest eSports show of the year!